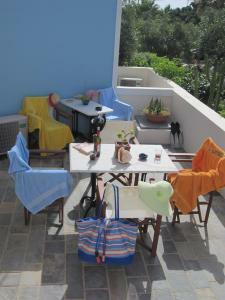 Villa Nikos Kamari has a garden full of flowers with paved paths and a sun terrace. 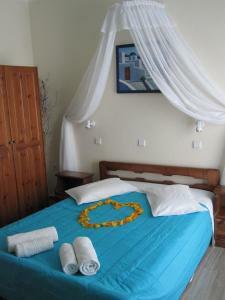 It is located in Santorini, 120 meters from the beach of Kamari. Air-conditioned studio with a furnished balcony overlooking the garden full of flowers and a kitchenette with a fridge and stove. There is free Wi-Fi, an iron and a safe. 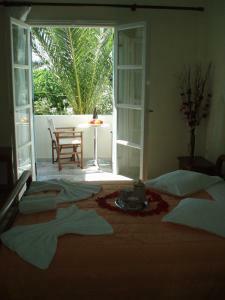 This single room has air conditioning, a balcony and tile / marble floor.